How ill is this!? 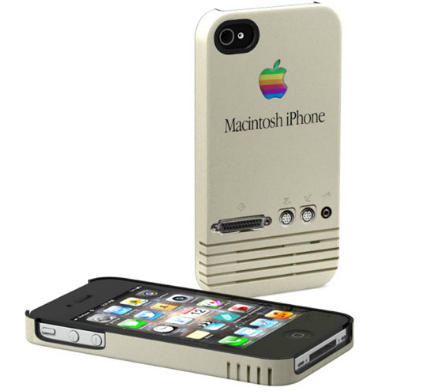 iPhone 4 cases paying homage to some of the products that paved the way - the original Macintosh home computer (pictured above), the 'colored' iMac's, and the first iPod. These are perfect for the old souls that never really wanted to embrace technology but had to give in to the iPhone or anyone just wants to pay homage to Steve Jobs other feats over the year. Check out Schreer Delights and High Snobiety for more info. Nike Zoom Kobe VII "Shark"